David Bowie, Gnarles Bark, Portishead, Radiohead, TAMAR KALI and more. 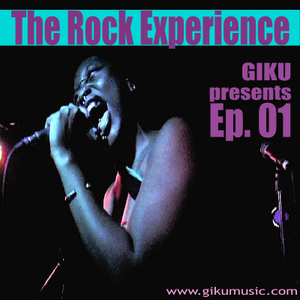 Its soulful, funky, guitars, drums, screaming instruments, and vibrations thats "Oh so GiKu". Sounds like: Bettye Davis, Tamar Kali, Tony Williams, Portishead, Bjork, RadioHead, Little Dragon and more! Coming soon: Sound Therapy Ep. 02 is complete. All hip hop mix w/special guest interview, new production & first official single ft/a dope female artist. Brilliant selection, Gibril..........I&apos;m lovin&apos; it ! That Tony Joe White track is beautiful ! ey! excellent mix (until now: gnarls,portis-&radiohead) !! super!